Provide comfort for the family of Edward Morin with a meaningful gesture of sympathy. Peacefully entered into rest at the Belleville General Hospital on Thursday, April 4, 2019 with family by his side. Ted Morin of Stirling died at the age of 92. He was the son of the late Ernest & Agnes Morin (nee Tyler) and husband for 64 years of the late June (nee Bowins). 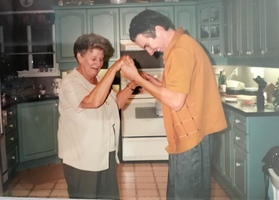 Ted was the loving father of the late Paul Morin, his first born who passed at the age of 10, Susan Morin (Faye) of Maple Ridge, BC, Linda Peers (Roy) of Stirling, Alan Morin (Sharon) of Pickering and Frances Baillie (Dean) of Canmore, AB. He was grandfather of Juliet, Dylane, Kayleigh, Colin, Emily, Ross, Jared, Jason and Shauna and great-grandfather of Dawson, Sunny, Kai and Mary. Ted is survived by his sister Shirley Nock of Scarborough and Jack Morin of Bowmanville and predeceased by his sister Patricia Legge. He will be fondly remembered by his many nieces and nephews. Ted was born in Montreal and grew up in Toronto where he married June and raised their family. He enjoyed a long career at Canada Cartage. Ted ensured his family spent every summer at the cottage or camping, where Ted instilled the love of the outdoors and adventure in all his children. 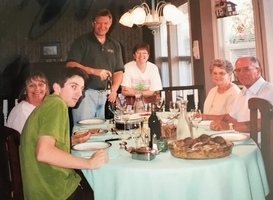 The family never spent a summer in the city, always enjoying lake time, and every weekend year round was another “family adventure” as he called them. Once retired they spent several winters in Florida and summers on Rice Lake. 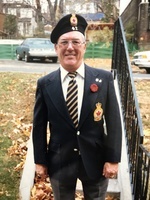 In his golden years they settled in Stirling where he became very involved in the Royal Canadian Legion as an active volunteer while never missing a legion event. Ted always said that moving to Stirling was the best decision he ever made. Special thanks to Barb and the staff at Stirling Towers for giving Dad such exceptional care over the past few years ensuring his final golden years were truly golden. Consider providing a gift of comfort for the family of Edward Morin by sending flowers. Our family had some great times with Ted and June whenever they came to visit Susan in BC. I would have them over for dinner usually I would cook lamb because that was one of Teds favourite. One year they came around Teds birthday so I thought I would have to put on a better dinner then usual to celebrate. So I decided to look up who was also born in 1926 and what happened in history that year and make a quiz about it. Ted was so happy that I had done this for him. He was laughing when he found out that Marilyn Monroe was born that year along with Chuck Berry and Tony Bennett I remember him saying some fancy people were born that year. The Montreal Maroons won the Stanley Cup that year so it was a very special year to be born. He was a happy, fun loving, kind and gentle man. 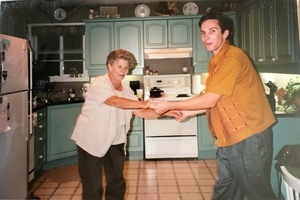 Our thoughts are with the Morin Family at this sad time but we know in our hearts that he and June are together at last laughing and dancing their time away. Our heartfelt condolences from the Jackson Family. I too did not realized the Kane family were not "official relatives" until I was in my 40's. Love the Baptism story, thank you for sharing. Sue, please accept our heartfelt sympathies on the loss of your Dad. We send you healing prayers & comforting hugs. Maggy & Ray, Cameron Park, New South Wales Australia.